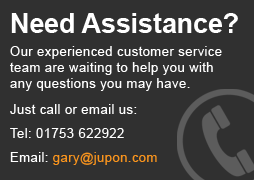 A luxury style Train pin from Jupon. 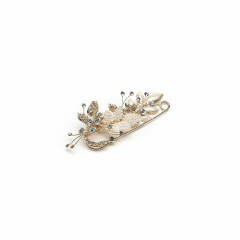 This unique piece features shiny Strass stones and pearls on a leaf styled base. . This adornment can be used to pin up the brides train during the party after and offers fantastic..
A bridal Lucky from Jupon. 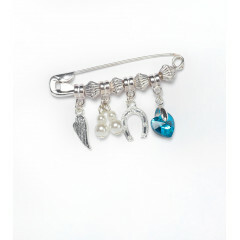 This charm is attached to a pink and features a Silver Wing, 2 Pearls, 1 Horseshoe, and 1 Blue Diamond Heart. 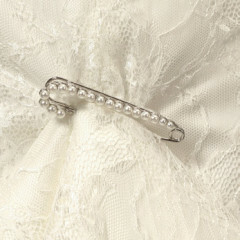 ..
A beautifully wedding dress Train Pin from Jupon's range of bridal gifts. This train pin comes with Strass stones and pearls. 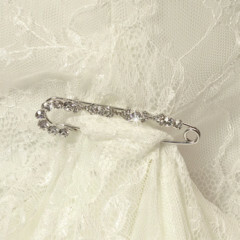 This adornment can be used to pin up the brides train on her dress. ..
A stunning Bridal Train pin splashed with strass stones. 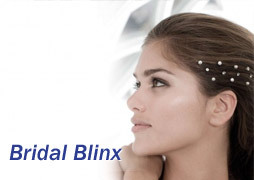 This adornment can be used to pin up the train during the party and also add a touch of class to any dress. 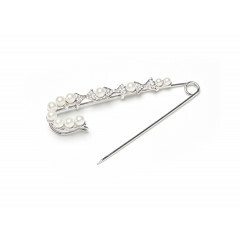 Also available with a Pearl finish - See item BB-920..
A stunning Bridal Train pin with pearls. This adornment can be used to pin up the brides train during the party after and offers fantastic support as well as adding a touch of class. Also available with Strass Stones:..